The May 20, 2018 elections in Venezuela were a victory for the popular sectors and a defeat for the U.S. backed opposition, the Democratic Unity Roundtable (MUD). The MUD strategy of supporting U.S. sanctions, inviting foreign intervention, and calling for voter abstention, fractured the right wing coalition and motivated a significant number of progressive forces to close ranks around the incumbent, President Nicolás Maduro. 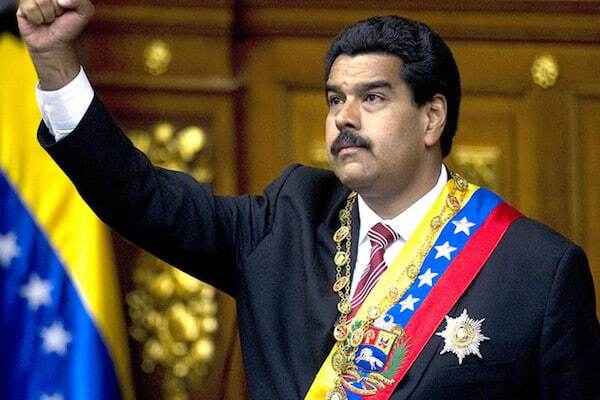 Given the abstention campaign, it was no surprise Maduro was re-elected President with 68% of the vote (6.2 million). Opposition candidates Henri Falcon (Avanzada Progresista, AP) and Javier Bertucci (Esperanza por el Cambio) garnered 21 percent and 11 percent of the vote, respectively. The participation rate of 48%, however, fell short of expectations by the presidential candidates. While abstentionism was felt on both sides of the political divide, it had a larger impact on turn out for the opposition candidates. The margin of victory for Maduro was an indication of a substantial preference for the incumbent’s promises of continued social investment over the neoliberal platform of opposition candidate Henri Falcon. Of course, there were many other factors in play during the electoral contest. For example, during the presidential campaign, when it was becoming increasingly clear U.S. sanctions constitute nothing less than an economic war against Venezuela to “make the economy scream”, more moderate elements of the opposition, including presidential candidates Henri Falcon and Javier Bertucci, sought to distance themselves from the hardliners. Opposition figures Julio Borges and Antonio Ledezma, now had the stain of supporting sanctions which were making life more difficult, especially for those Venezuelans who do not have the luxury of access to dollars. The U.S. and hardline opposition demands for the government of Venezuela to cancel the May 20th election did not prevent more moderate opposition figures from reaching an accord with the government and running candidates in the elections. During the course of the presidential campaigns, there were a number of defections from the ranks of the MUD in support of Falcon, including former MUD Secretary General Jesus Chuo Torrealba. So while the Falcon and Bertucci campaigns enhanced the legitimacy of the election, the MUD’s adamant call for abstention undermined any chance Falcon could have had to win the presidential contest. On the other hand, despite the economic hardships, mounting threats of imperial intervention and stepped up sanctions, a significant part of the Chavista base, though less than in previous elections, came out to vote for Maduro. On the day preceding the election, we were on the ground in Caracas, bracing for a repeat of the anti-government street protest of the previous year. We visited a number of middle class and popular barrios late into the evening. Like other observers that day, we witnessed an atmosphere of tranquility. Children were playing soccer in the streets of San Agustín. There was calm in El Valle. Sabana Grande businesses were open, and the pre-election prohibition on alcohol sales was in force. There were campaign signs for competing presidential candidates along the roads and highways: images with slogans declaring that Henri Falcon, Javier Bertucci, or the incumbent President Nicolas Maduro was the answer. To our surprise, these signs were neither vandalized nor defaced. This same atmosphere prevailed on election day. As public opinion analyst Oscar Schemel of Hinterlaces points out, “90% of Venezuelans” believe “they themselves ought to resolve the problem[s]” by “electoral, democratic and peaceful” means, and are not in favor of solutions coming from outside. On election day, from the early morning opening of the voting tables to their closure in the evening, the election process took place under the close scrutiny of more than 150 international observers and acompañantes. Thanks to the presence of news media from around the world, and the dissemination of testimonials and photos by means of social media, observers have been able to provide detailed accounts of the election, effectively breaking the mainstream media’s faithful reproduction of the State Department’s official line on Venezuela. These alternative accounts generally challenge charges of electoral fraud because they indicate that the National Electoral Commission (CNE) implemented logistically sound and transparent electoral procedures. After the results were in, Henri Falcon claimed there were numerous irregularities and called for a rerun of the election; Javier Bertucci acknowledged the results and joined Maduro’s call for national dialogue. The economic, social, and political landscapes in Venezuela are far more complex than the mainstream media’s facile and shallow imaginary. We observed, in several middle and upper class neighborhoods of Caracas, that restaurants, bakeries, bars and shopping centers were doing quite a lot of business. While stopping in at a pharmacy in Sabana Grande, we noticed that the shelves were well stocked with personal items. With a shortage of cash and rampant inflation, puntos or points of sale using debit cards, are now the main form of making payments, even among street vendors. We asked a cashier at a Bakery in Sabana Grande, at which we had breakfast, how many customers paid with cash today; the answer was: “none”. In the neighborhood of El Valle, we paid 400.000 Bolivares Fuertes for nine platanos, the equivalent, at least at that moment, of about fifty-seven U.S. cents on the parallel market. A Kilo of beans in San Felipe cost about 500,000 Bf. For the poor, even with subsidies from the government, these prices eat up a substantial part of a weekly salary; the problem is that increases in the minimum wage fail to keep pace with inflation. During the election campaign, it become abundantly clear that those hardliners lobbying politicians in Washington and Madrid to induce even further stress on the Venezuelan economy were no friends of the working class. Voters were well aware the intent of U.S sanctions is not merely to punish leaders within the State, but to render the country ungovernable and provoke a “humanitarian intervention”. From May 19th to 25th, we visited El Valle, 23 de Enero, Catia, La Guaira, San Agustin, San Martín, El Paraiso, and other popular barrios, as well as the cooperative, Tres R’s in San Felipe (State of Yaracuy). On May 24th, we met with comuneros(commune participants) in Catia and had intense discussions about the present situation in the country. It was clear that for these comuneros voting was a form of resistance to the economic war. Nevertheless, there were various degrees of dissatisfaction with the way the government had so far been confronting the economic crisis; the rampant corruption in both the private and public sectors, and the need for more democratic inclusion of popular power in the governance of the country. One voter told us she wanted to “give Maduro another chance to take decisive action against corruption and overcome the economic war.” Another told us, “he [Maduro] needs to shake things up in the government and remove people who are not doing their job.” And still another indicated that there was some abstention even within Chavista strongholds. Another issue mentioned by several voters is the government’s efforts to provide a safety net for the most vulnerable. These efforts include the CLAP food distribution program; subsidies based on need, Barrio Tricolor (home renovation project), Chamba Juvenil (youth work programs for persons 15 – 35 years old), the continued construction of housing units through Mision Vivienda (the Housing Mission), and other social programs. These programs are certainly not a cure all, nor are they a substitute for sustainable economic reform. Yet, despite shortcomings they have had a significant impact on the ability of the poor to resist the immediate ravages of the economic war. The May 20 election was not only a national contest between the more moderate Venezuelan opposition and the Gran Polo Patriótico (Great Patriotic Pole, GPP), but also a confrontation between the continent wide Bolivarian cause and a rehabilitated Monroe Doctrine, and between the consolidation of a unipolar world and the movement towards multipolarity. The elections took place under siege by the economic, political and military power of Washington and its allies in the region. Having an obedient neoliberal regime in Caracas not only would give the U.S. enhanced access to this South American nation’s rich natural resources, but would also counter further Russian and Chinese inroads in the region. In the months preceding the election campaigns in Venezuela, Washington’s diplomatic offensive against the Maduro administration shifted from the OAS, where the U.S. was unable to build a sufficient coalition to invoke the Democratic Charter against Venezuela, to a partnership with the so called Lima Group (the governments of Argentina, Brazil, Canada, Chile, Colombia, Costa Rica, Guatemala, Guyana, Honduras, Mexico, Panama, Paraguay, Peru and Saint Lucia). The Lima Group, discussed by analyst Roger Harris in detail, includes the government of Honduras, where there are credible reports of electoral fraud; Peru, whose President Pedro Pablo Kuczynski was forced to resign in response to charges of corruption; Brazil, whose President Michel Temer is un-elected and is presently immersed in scandal; Mexico, where 80 politicians have been murdered during the present electoral campaign period; and Colombia, where from January 2016 to February 2018, 282 human rights defenders have been assassinated. The Washington– Lima Group partnership, which lacks moral and legal authority inside Venezuela, was unable to halt the election and bend Caracas to its will. On the heels of the election, Washington had already moved on to a strategy that involves an increasing role for NATO in hemispheric affairs. On May 25, President of Colombia Juan Manuel Santos announced his country will be “the only country in Latin America that will have such a privilege.” This raises the specter of Colombianization of the politics of the region, a form of necropolitics that has already cost the lives of tens of thousands of Colombians. The May 20 elections were both a show of resistance by the popular sectors and a victory over the hardline opposition of a disintegrating MUD. It was also a tactical blow to the ambitions of Washington to re-establish the Monroe Doctrine throughout the hemisphere. President Maduro has not asked for celebrations, but rather has called for a process of “rectification” within the government, and for a national dialogue with the opposition as well as the business sectors. If peace and politics are given a chance, real dialogue among Venezuelans aimed at addressing the country’s immediate and longer-term challenges is possible, despite the ideological gulf that divides this South American nation. Frederick B. Mills is a Professor of Philosophy at Bowie State University; currently serve on the board of the non-profit Association for Educational Development in El Salvador (ADEES, Inc.). Frederick served as editor of Humanities and Technology Review from 2007 to 2011.